After seeing how great her smile could look at her cosmetic consultation using our computer imaging Radka could not wait to start treatment. 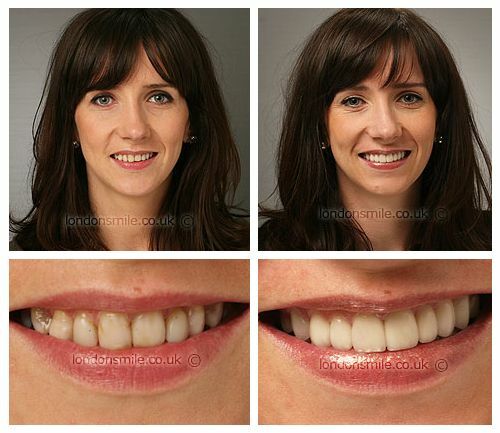 Ten veneers were placed to create a natural smile with a fresher and brighter look! The team were very well organised, the whole process was easy. It’s better than I could have ever imagined. I never realised how much a smile can change someone’s attitude and confidence. I don’t have to say a word to anyone I just smile and people instantly ask about my teeth. I already have a friend considering treatment as well as some colleagues. I feel much more confident and happy with my appearance. A bunch of lovely people with smiles on their faces, it was always a pleasure. They are very helpful and that is always appreciated.